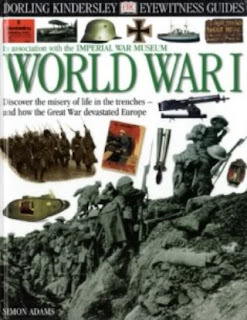 Discover the Misery of Life in the Trenches and How the Great War Devastated Europe At the start of the 20th Century, the countries of Europe were increasingly hostile to each other. Britain, France and Germany competed for trade and influence overseas, while Austria-Hungary and Russia both tried to dominate the Balkan states of south-east Europe. Military tension between Germany and Austria-Hungary on one hand and Russia and France on the other hand led to the formation of powerful military alliances. A naval arms race added to the tension. In 1923-13, two major wars broke out in the Balkans as rival states battled to divide Turkish-controlled lands between them. By 1914, the political situation in Europe was tense, but few believed that a continental war was inevitable. On 28 June 1914, the heir to the Austro-Hungarian throne, Archduke Franz Ferdinand, was assassinated in Sarajevo, Bosnia. Bosnia had been part of Austria-Hungary since 1908, but it was claimed by neighbouring Serbia. Austria-Hungary blamed Serbia for the assassination, and on 28 July 1914 declared war. What began as the third Balkan war was rapidly turned into European war. Russia supported Serbia, Germany supported Austria-Hungary and France supported Russia. On 4 August 1914, Germany invaded neutral Belgium on its way to France. It intended to knock France out of the war before turning its attention to Russia, thus avoiding war on two fronts. But Britain had guaranteed to defend Belgium?????? ?s neutrality, and Britain declared war on Germany too. The Great War had begun.